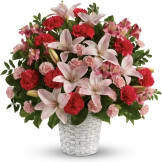 Soft and soothing. 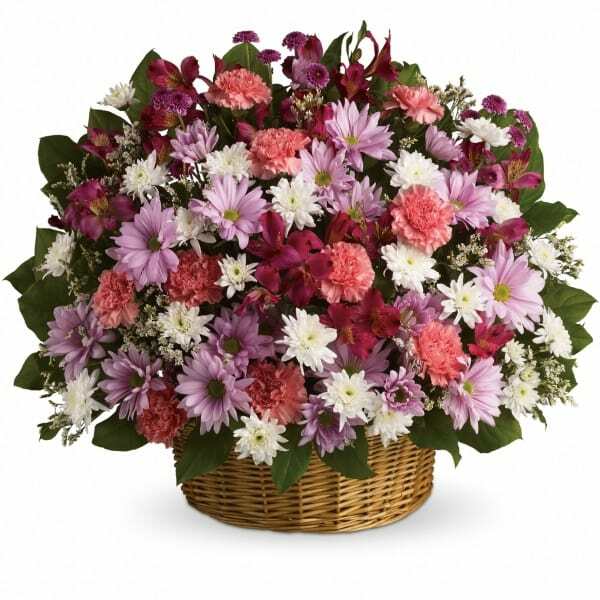 This basket is overflowing with pastel flowers and your sincere message of love and sympathy. 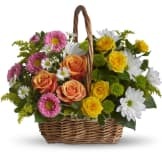 • Beautiful flowers such as pink carnations and alstroemeria, lavender button and daisy spray chrysanthemums along with white cushion spray chrysanthemums and more fill a lovely round wicker basket. 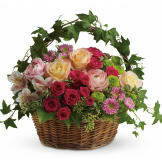 • This basket arrangement will be hand arranged and delivered by a local florist. • This arrangement measures approximately 25" W X 21" H.